Modern humans are one species among many, not the pinnacle of all creation. We’re not the center of the universe; our planet orbits a fairly average star. We haven’t been around since the beginning of time – far from it. Enter the Anthropocene—Age of Man It’s a new name for a new geologic epoch—one defined by our own massive impact on the planet. That mark will endure in the geologic record long after our cities have crumbled…Probably the most obvious way humans are altering the planet is by building cities, which are essentially vast stretches of man-made materials—steel, glass, concrete, and brick. But it turns out most cities are not good candidates for long-term preservation, for the simple reason that they’re built on land, and on land the forces of erosion tend to win out over those of sedimentation. Fancher: The greatest strength of anthropology is its all-encompassing view of humanity. We’re proud of this breadth, frequently describing our work as the study of all people, in all times, and all places. But, as you state in your article, stratigraphers take an extremely long view – the entire 4.5-billion-year history of Earth. How can students of the human past benefit from this geological perspective? Kolbert: I’m not sure I have a good answer for this. As all anthropologists know, we are a young species. So human history doesn’t tell us much about earth history. What is particularly alarming about a lot of recent discoveries in geology is that you have to go way, way back – i.e., tens of millions of years – to find analogues for some of the things we are doing today, like, for example, acidifying the oceans. Fancher: I was surprised to read that our proudest technological achievements might not be easy to recognize in the geological record. It’s humbling to think that urban centers will ultimately be as fleeting in the geological record as short-term hunter-gatherer camp sites are in the archaeological record. Despite our human desire to leave huge, everlasting monuments, is it better not to be noticed in the geological record? Kolbert: Well, it’s not clear that we will be noticed, because it’s not clear there’s going to be anything around to notice us. But we will be noticeable. And certainly from the standpoint of the other organisms on earth, it would be a lot better if our impact were not so obvious. Fancher: Some issues of scientific classification appear to have little practical relevance. For example, the debate over whether Pluto qualifies as a planet or not. In your article, Dutch chemist Paul Crutzen concludes that the value of the Anthropocene classification goes far beyond textbook revisions. Can you elaborate on the meaning of the Anthropocene? Kolbert: Officially, we live in the Holocene, or “wholly recent” epoch. The Anthropocene translates basically as the man-made epoch. It’s an acknowledgment that humans, rather than what are sometimes quaintly called “the great forces of nature,” have become the driving force on the planet. Fancher: How might recognition of a geological epoch called the Anthropocene influence human behavior? Kolbert: I end the piece with a quote from Paul Crutzen, the Nobelist who coined the term. Crutzen says, “What I hope is that the term ‘Anthropocene’ will be a warning to the world.” I think what he means by that is: we are now in the driver’s seat. Unfortunately, we don’t really know how to operate the vehicle. So we’d better think about what we’re doing very carefully. Many thanks to Elizabeth Kolbert for writing such a thought-provoking article, and for agreeing to this interview. 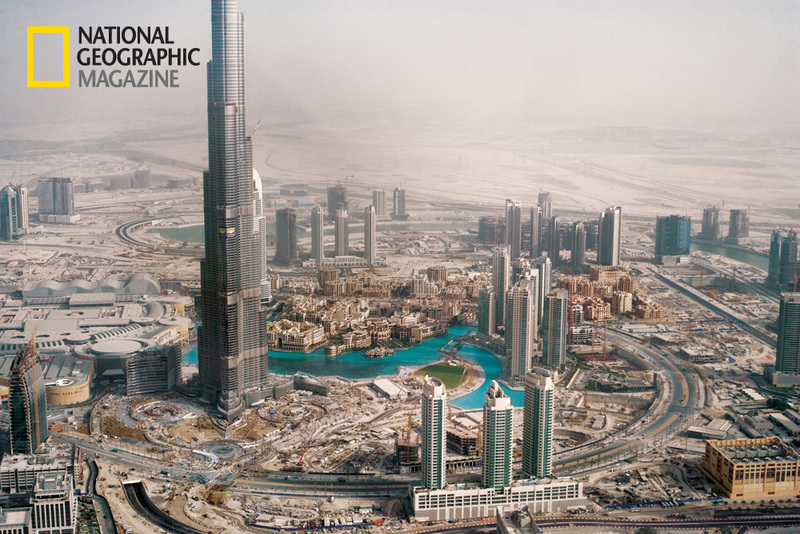 Enter the Anthropocene – Age of Man is part of National Geographic magazine’s year-long coverage of the global human population reaching 7 billion. What do you think about the possibility of a geological epoch called the Anthropocene? Nonsense. We’re supposed to rename the present because of Mrs. Kolbert’s silly daydream of the future? If we as humans would just stop and see what effects we have on our environment and what Catastrophic results may occur in the future perhaps we would change our ways. But sadly it seems mankind never learns before its too late.It is quite obvious to me that the world is too overpopulated using too many resources that will bring dire consequences. We would like to thank you for maintaining such a reputable blog. We know that it takes time, effort and commitment to keep such a blog and as such, we have added your blog as one of the top Anthropology blogs. As recognition of the extent humanity is altering the planet Anthropocene makes sense – mass extinction, landscape changes, atmospheric changes that rival the great changes of our geological past. As far as being a warning it has to be superfluous; we have plenty of warnings being sounded but look likely to choose to effectively ignore them. I think it’s unlikely this will be the end of humanity but a population collapse and reduced agricultural and other kinds of productivity with it does look possible and even likely. Not that we don’t have the means – nuclear, biological and chemical arsenals – to give extinction of our species a good try. As holocene refers to the present and recent past, those discussing the march of epochs will always be in the holocene. To name our own era would be narcissism on a grand scale. Assuming that there are human survivors following the pending ecological collapse, it would be their prerogative to insert an age between the pleistocene and the holocene and I suspect that the name given our time will be something derogative rather than Anthropocene. “As recognition of the extent humanity is altering the planet Anthropocene makes sense – mass extinction, landscape changes, atmospheric changes that rival the great changes of our geological past. As far as being a warning it has to be superfluous; we have plenty of warnings being sounded but look likely to choose to effectively ignore them”. “It is quite obvious to me that the world is too overpopulated using too many resources that will bring dire consequences”. Would you say that cats have been for a long time a particularly ecologically destructive species? Humans have not, over the long run of their presence in the ecology, been majorly destructive. They have altered the ecological balance, wheresoever they’ve been, including in Australia and America, but the same can be said of any innovative species. The appearance of cats, for example, effected the extinctions of many prey species. We are not particularly destructive in essence. We were never a uniquely special disruptor of the ecologies we made our way into; all species have rippling effects in the world. Humans moving into Australia and America were very good at hunting in ways the prey species there had never encountered. That’s why we effected those extinctions, not because of some particular destructiveness. In the present we are captives of an extremely unusually destructive culture. It is our way of thinking, not our DNA, which is to blame. yep when i read the term it was a natural for me. i just point out that the definition of our every earthscience had been vastly different had we created the chemical and trophical output we did 20ka(or 5Ma) earlier. there is no doubt in my mind the impact of humans on the planet will for 10s and actually 100s of millions years be the most defining, probably for the age of the solar system unfortunately. indeed it will be noticable far more probably then noticed. i have even wondered in how far the anticlimax of life influenced the other planets lack of an atmosphere. considering most of you would consider me nuts for that, what are the chances an alien would even bother to look;) perhaps great actually, since we may assume only rational and cooperational models would allow a species to conquer the stars. We now are in the 9th of these episodes. This one started about 1730 and now may be peaking as serious droughts are now re-appearing on every continent. Apparently there has been no statistical evidence of warming for about 15 years and if we are now starting a coolling stage, crash programs to feed7 billion people may be urgently needed.